Susan Lafferty and I attended this workshop for school and community gardens. 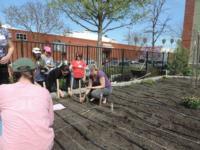 This was a great hands on workshop to learn how to assess or plan a garden site. We learned about soil types, how to plot out your garden to harvest vegetables at a certain time and square foot gardening techniques. The garden was located at Sacramento Food Food Bank on Third Avenue and the second day of training was held at Sierra 2 Center for the Arts & Community Sacramento. Hosted by the California Department of Public Health, Nutrition Education and Obesity Prevention Branch and Training Development and Support Section we would like to thank the great instructors at this event. We plan to use the information we learned at this workshop at several of the gardens in Kings County. 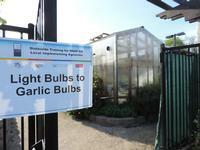 TheUCCE Master Gardener program had many handouts that were simple and easy to use. If you are interested in finding out more about what your UCCE Master Gardeners Program has to offer, contact your county UCCE county office. The idea of integrating childhood educational curriculum into the natural environment is not new. Garden based-education is an amalgamation of experiential education, ecological and environmental awareness, and agriculture literacy. In the past decade there has been an emergence of school gardens designed to create opportunities for children to learn about fresh food and improve the health of children. 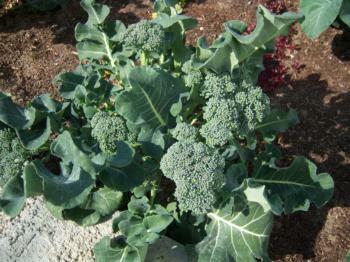 School based-gardens offer children access to fresh produce and often lead to changes in the school cafeteria. In the contest of childhood obesity and today's food culture consisting of fast food, packaged and processed snacks, and super sized sodas, this comes as a welcome change! Master Gardeners are members of communities who are trained by Cooperative Extension experts in different aspects of plant science. 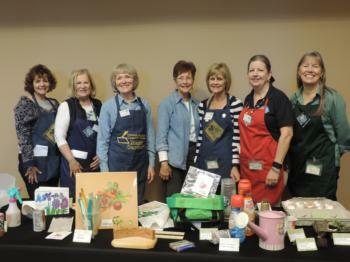 In exchange for instruction, persons who become Master Gardeners volunteer through their local Cooperative Extension office to extend information to their community. 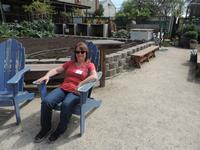 Volunteers are supervised and guided by UC Cooperative Extension (UCCE) advisors. The primary role of the Master Gardener is to be an educator. Each MG is expected to teach, write, and present information to the general public. The Shaping Healthy Choices Program is a multi-component, school- based intervention that was developed to improve children’s health. The Center for Nutrition in Schools offers this curriculum. UCCE Kings County Cal Fresh representatives provide training, technical assistance and consultation. Please contact our office. TWIGS focuses on gardening and how the foods we grow are used in our bodies as building blocks and as energy providers. 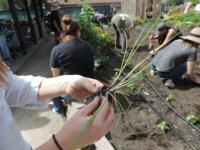 Students from kindergarten through eighth grade are given the tools to plant and care for a garden. This curriculum is flexible and the lessons can easily be used in a classroom, after-school program, or club. Nutrition to Grow Onis an innovative curriculum that offers teachers a direct link between the garden and nutrition education. This multi-disciplinary curriculum enriches students’ capabilities for observation and thinking and encourages them to develop a wide range of skills.